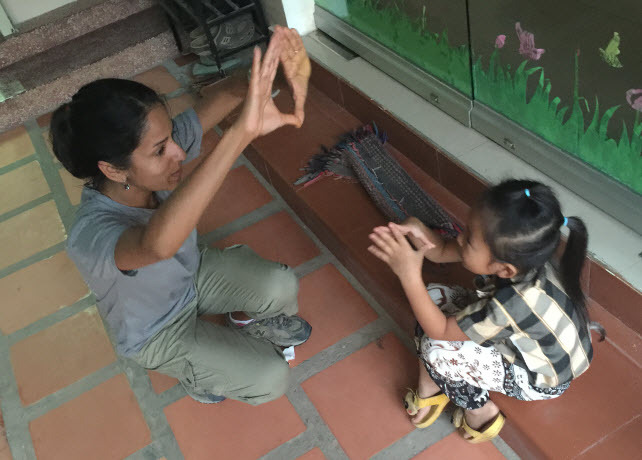 Continuing from my recap of our Good Gigs Trek in Cambodia Week 1, here some of the highlights from our second and final week working with JWOC in Cambodia. Week 2 was going to be a critical week not because it was our last but it was going to be the first time the teachers will be using the new software and training material that they have been working with both the STEAM and English teams. It would also be the first time the computer labs will be used since the refresh and it will finally be put to the test by the students. 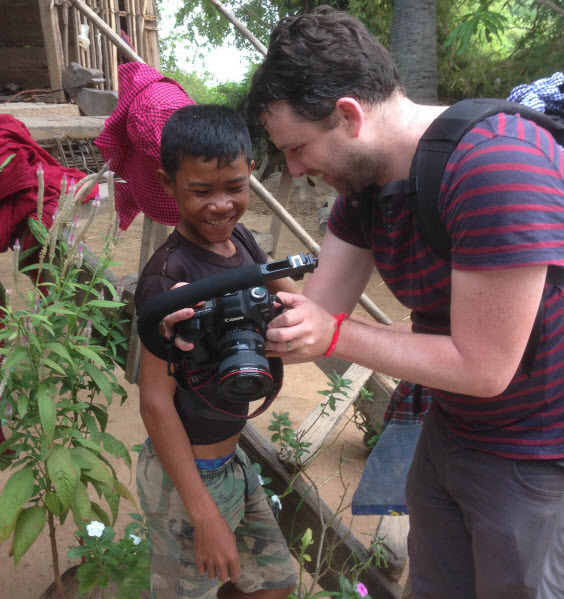 Lastly, our videographer Michael Bainbridge will be arriving that week to help capture and share the many inspirational stories of the staff and students at JWOC. Here are the additional photos that I took during our Good Gigs Trek in Cambodia. Anne and myself spent both days working on getting the Rosetta Stone Tell Me More server and client software installed. Since neither of us have worked with this software before, it took a bit of trial and error to fully understand the requirements and the documentation did not always contain what we needed, so that also made it challenging. I have to say Anne did a fantastic job of persevering through all the challenges and never let a road block stop her. One thing that came in handy while we troubleshooted in the computer lab was leveraging VMware Fusion and installing both the Rosetta Stone server and client which allowed Anne to work with the teachers during their training hours and that also provided her more familiarity of the application. As we continue to make progress on Rosetta Stone, we had a slight set back on the main lab system which required us to re-image the operating system, patch it and reinstall all the software that we had brought along. However, we could not re-image the system right away because we had the first set of computer classes on Thursday and we were out on Wednesday, so we did not want to risk the first set of classes and wanted to wait till the classes were over on Thursday before we re-installed everything. This was an unexpected challenge, but it was not the end of the world and by this time, we pretty much knew all the applications inside and out. We also had the support of Chunnlay and the VMware team to do what was necessary on Thursday to ensure we have the lab up and running in its final configuration, so I was not too worried. Since we could not touch the computer lab due to the upcoming classes and spending the majority of my time in the lab, I decided to go downstairs to see how the other teams were doing. I know both Melina and Laura have been preparing for the Lego WeDo labs and I was lucky enough to see their work in action. It was really awe-inspiring to see the curiosity in their eyes and sparking new ideas as the students collaborate together on the Lego kits and experimenting by asking questions like "what if we did this?" While moving around in the Library to take the photos above, I was also very fortunate to have been able capture one of my favorite moments of the day. 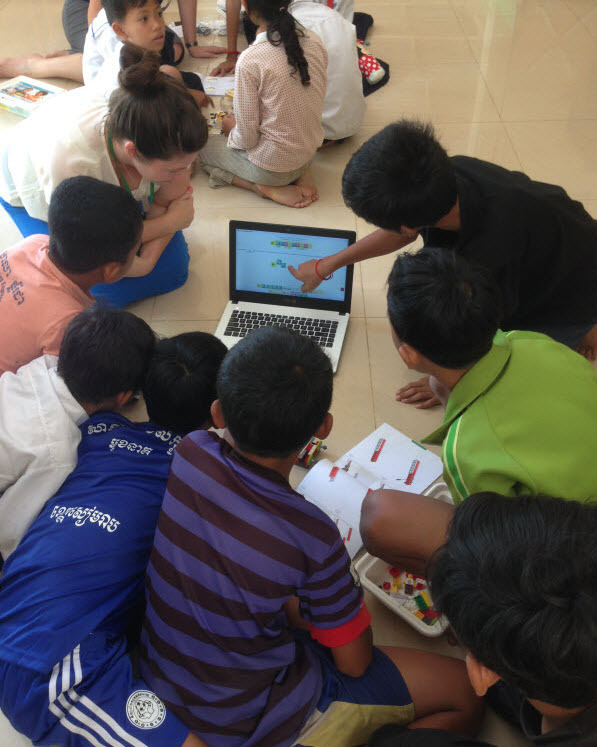 It was Kea, one of the teachers at JWOC, who was surrounded by several students of varying ages watching an educational video in the back of the library. No words needed to be exchange between us, we both knew what we were witnessing and it was such a special moment for me because you could see the impact the teachers at JWOC were making on the lives of these kids. Another inspirational story that I learned about later in the week (thanks to Mike for sharing this story) was of a picture that I took that day. The picture might appear simple, a woman studying with her books and her computer. However, this is a very special woman with an amazing story. Her name is Konthea and she has been attending JWOC's Free Classes program for the past two years. She did not know English but being a curious person, she decided to learn it so that she could interact with foreigners. 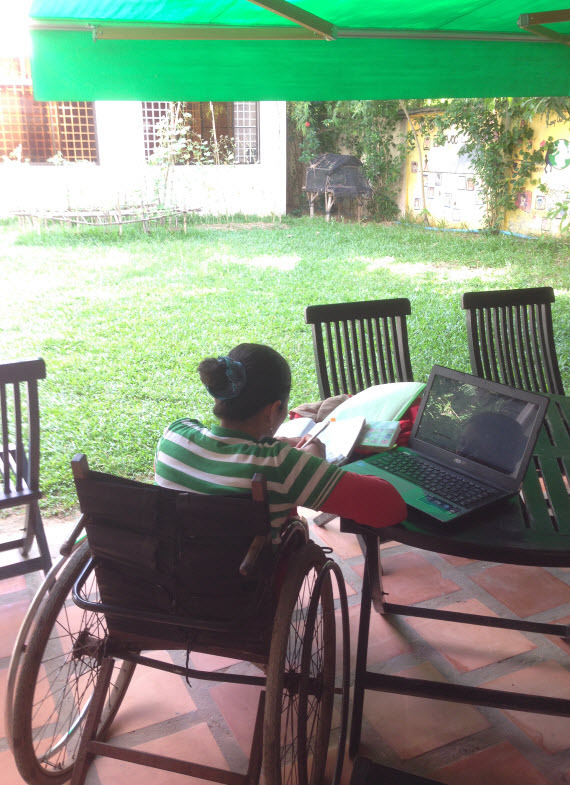 She is now fluent in English and have moved onto learning about computers, she had such an interesting outlook on life. The thing that struck me the most about Konthea was her dedication and whether it was rain or shine, it did not stop her from coming into JWOC. We got to see this first hand earlier in the week when we were driving up to JWOC and we saw Konthea (at the time we did not know her) and she had one hand holding onto her books and computer and the other hand holding the hands of someone driving a motorcycle. Konthea did not live close by, so the trek coming in was quite laborious as you can imagine and someone was kind enough to give her a hand, so that she did not have to manually wheel herself up the dirt road which was not paved and filled with potholes. There were no classes on Wednesday, but this was not a day off for us. 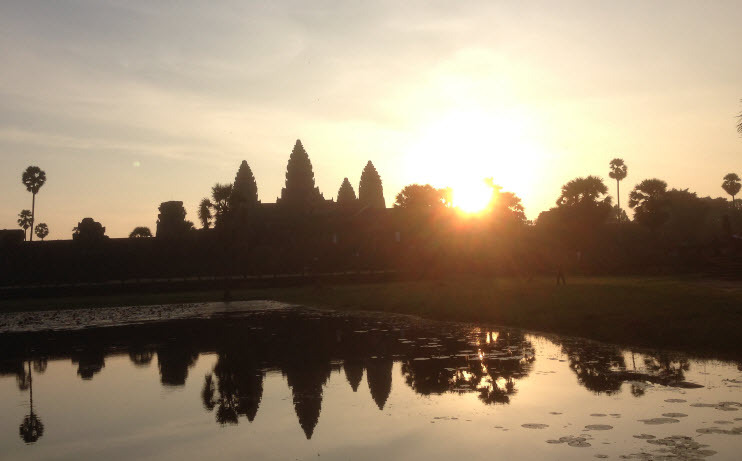 In fact we had a packed schedule for the day which started off around 4am in the morning to see the sunrise at the Angkor Wat Temple. Our tour guide again for this trip was Reath Kanha and we were all excited because she did an amazing job on our first tour. 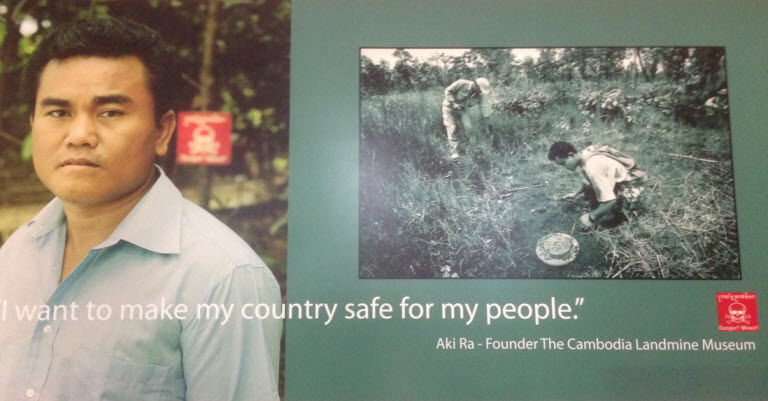 Next up we visited the Landmine Museum, which was very sad to hear about but also quite inspirational after learning about a remarkable man named Aki Ra who wanted to make a difference in his country after the war with the Khmere Rouge. Aki was also recently awarded with the CNN Heroes in 2010 and I think it is a story worth learning about. 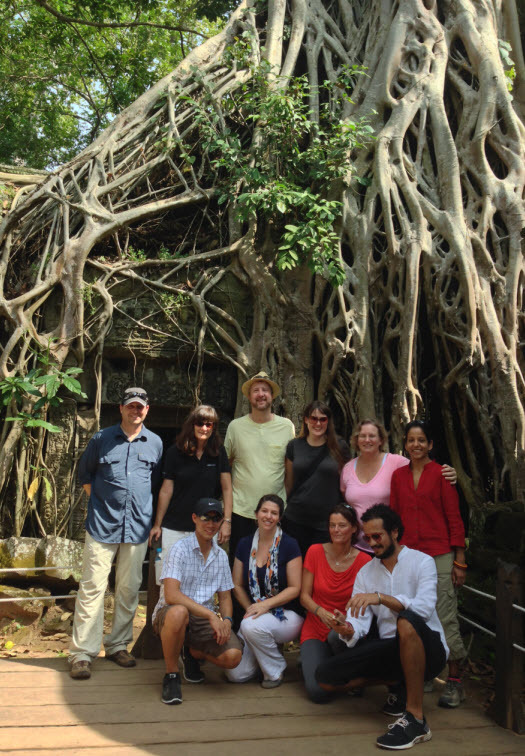 Our final two destinations for the day was visiting the Ta Prohm Temple and Angkor Thom Temple. Ta Promhm Temple was also known as the Tomb Raider Temple because the movie Tomb Raider was shot there. The temples were all magnificent and the majority of them had been restored due to being abandoned and being taken over by nature. Here is a group picture we took at the entrance of where the Tomb Raider movie was shot. 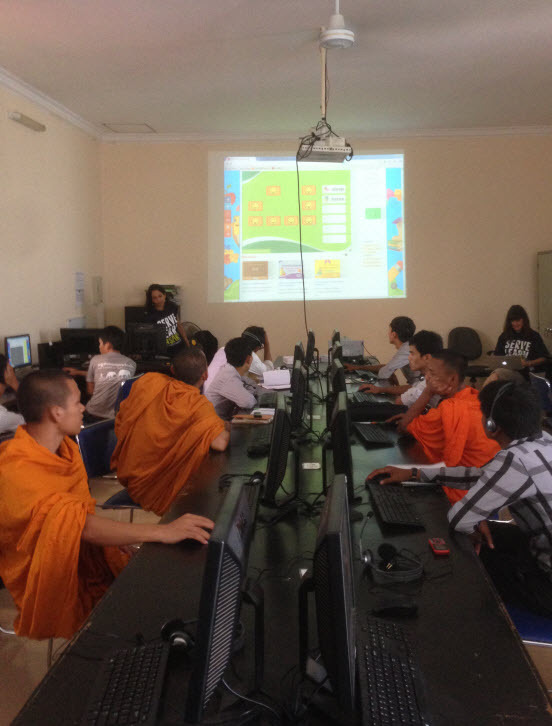 Today was going to be a very important day for the computer lab, because the first set of computer classes using some of the new software such as British Council and Rosetta Stone would be taught with the actual students. 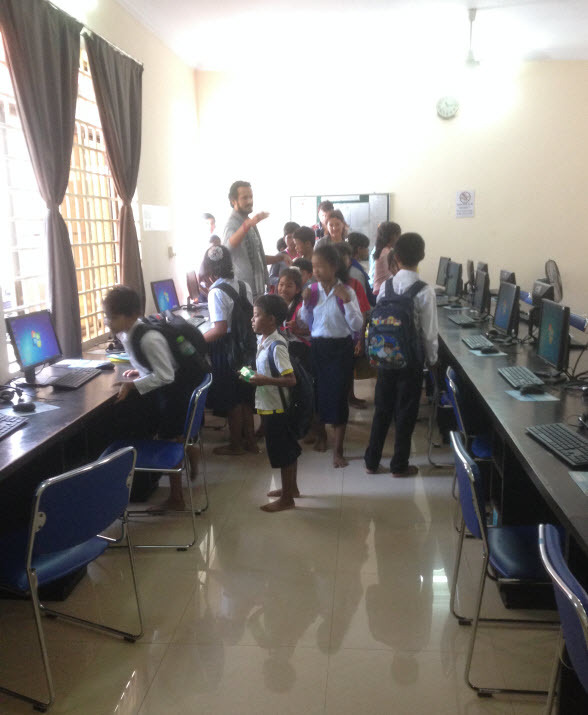 We had all been working very hard up to this moment and once we saw all the kids run into the lab, all we can do is hope that everything wold go smoothly and that they would enjoy the new lab and course material. As the students entered the room, they were all filled with excitement, curiosity and smiles on their faces. Everyone was quick to jump onto a computer and some were even quick to put on their headphones (which was required for Rosetta Stone) and started exploring around the desktop. Both classes completed without any problems and the teachers did a fantastic job leading the classes. I even remember a comment made by one of the students at the end saying how excited they were for the classes, so much curiosity and eagerness to learn. This moment, was what it was all about and seeing the kids smiles made it all worth it! Friday was going to be a half day for our us because we were going to get a tour of JWOC's Clean Water Program in one of the nearby villages. Half the group would go in the morning and the other half would go in the afternoon. I was part of the afternoon group because we still had a lot of prep work to do on the workstations prior to re-imaging the main server. Along for this trip, we were also joined by Alex the managing director of JWOC, Seng Sok who manages the Clean Water Program at JWOC and our videographer Michael. During our ride to the village, we learned a bit more about the Clean Water Program from Seng and how a village would qualify to be in the program. There were three main criteria: inaccessibility to clean water, inaccessibility to clean drinking water and illness in result of not having clean water. 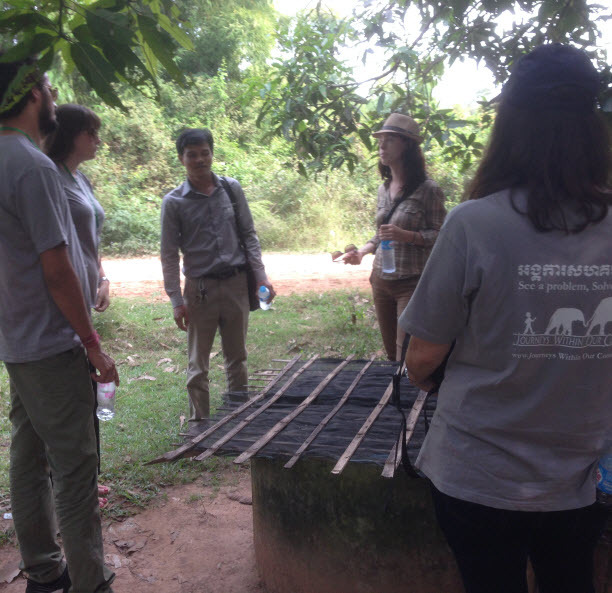 Seng and his team would assess a village and ensure it matched the goals of the Clean Water Program and they would also check with the village chief to ensure that they would be willing to work together. I was very impressed at how thorough the program was and the additional training and follow-ups that the Clean Water Program provided to the villages to ensure they were successful. The tour consisted of walking through two villages and we got to observe houses that had government funded wells which were sorely lacking. If the families were lucky, the sides of the well would be a couple feet off the ground to ensure animals, runoffs and even kids would not fall in. The government wells did not include well covers, this meant that even with a clean water source, it could and would easily get polluted with things falling in like leaves/etc. Some families had to even build their own well covers to keep things out, but it usually did not help much and the water would still get contaminated. 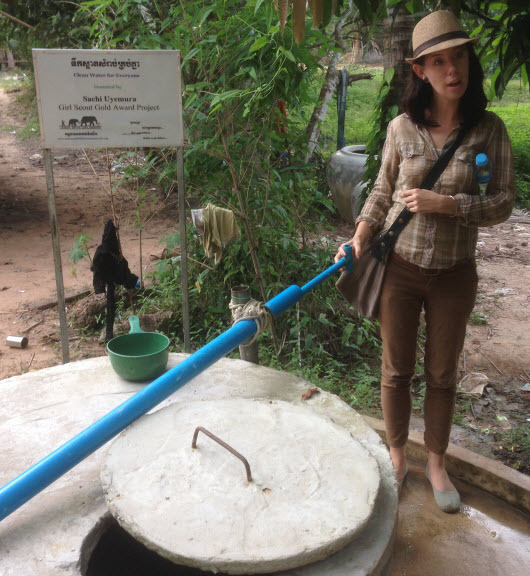 The next well that we saw was from JWOC's Clean Water Program. We could see a proper well cover that completely seals the top of the well and that they also provide an easy mechanism to pump out the water out instead of relying on a traditional bucket that would be used. It was definitely tough walking through the village and seeing some of the living conditions the families had to endure. One thing that really surprised was that I did not expected the families to not be so friendly or welcoming since we were outsiders coming onto their properties. The very first house that we visited, I remember there was an elderly woman who walked out near us and I was expecting her to tell us to go away. I saw Michael, our videographer slowly go up to her with a smile and a hand wave, she immediately returned a smile back. I did not expect in such conditions that everyone was still just as friendly and all you had to do was smile or wave and you would be greeted right back. The kids in the villages were just like any other kid in the world, they ran around and played with each other. One memorable moment for me that day was when Michael was taking a picture of a young boy harvesting rice and he asked him if he wanted to take a look at his picture. It was such a happy moment for everyone and nothing but smiles on the mother's face, the young boys face and our faces. Saturday was going to be an all hands on deck for the team because it was the second to last day before we would be heading back home. We had to re-image the main server, re-install all the software and re-configure the workstations to point to the new server. Though the task was daunting, I think we learned a lot about how the system worked the past week and with the support of the team, we all collaborated towards a common goal. In no time, we had the entire lab fully functional minus a couple tiny configurations. We even ran a couple of stress tests utilizing the new network infrastructure that Mike has been working so hard on and it just ran beautiful. In fact, the teachers were so excited about the new software and content, they had even asked for additional training classes to be held. You can see from the pictures below, that both Anne and Ina were leading classes while we were finalizing the lab, talk about multi-tasking! Being our last day, you would think we would be taking a break after working for two weeks straight? Nope! We still had a couple things to wrap up in the lab as well as finish re-imaging some of the older workstations and existing staff laptops. We had a nice game plan for the day and we started bright and early at 8am. Just when we were about to get into the groove of things, the power went out! Yep, you heard right. We lost power even on the very last day we were there for. Everyone's morale just dropped and we all wondered if this is how we would be leaving JWOC? The lab itself was already fully functional, but there were still a couple of configurations that we needed to make, though minor it would have been nice to finish prior to leaving. There was nothing more we could do without electricity at JWOC. Part of the group decided to head back to the hotel which still had power and internet access so that we could at least finish the installations on the staff's laptop. Mike was also just finishing up the installation of the SIMS application before the power went out, he decided that he could at least perform the installation on a Virtual Machine running on Fusion and then export the database once he was finished. If the power returned, he could then re-import the database to the production system and no time would have been wasted. As we all waited around in our hotel room, I could not help but think we may not finish what we had set out to do. It was already 5pm, if the power was out like the previous Saturday, it may not return before we had to fly out that evening. Just when I had thought all hope was lost, a message appeared in our WhatsApp group chat. It was a note from Julie who was still at JWOC and it looks like the power had been restored and that she was heading back to the hotel to pick us all up. Once we got to JWOC, everyone was firing on all cylinders and we worked all the way up till around 6pm. We got the majority of what we wanted completed including a complete SIMS installation, a new squid caching server that Mike came up with to help reduce the load on the network and couple of desktop application configurations. Looking back, I was sort of glad we had the power outage. I think it really put things into perspective for everyone, I know it did for me. Even though we completed what we had set out to do and we could go home feeling happy and accomplished, the truth is, the power outage is just one of the many obstacles the staff, the teachers and the students at JWOC must endure and live with on a daily basis. This is their reality and that has not changed. I can only hope with the little amount of time we were there for, we were able to make a positive impact. I really admire and respect the staff and teachers at JWOC, I think they really are making difference in the children's lives and I am glad we had the opportunity to work with such amazing and inspirational people. 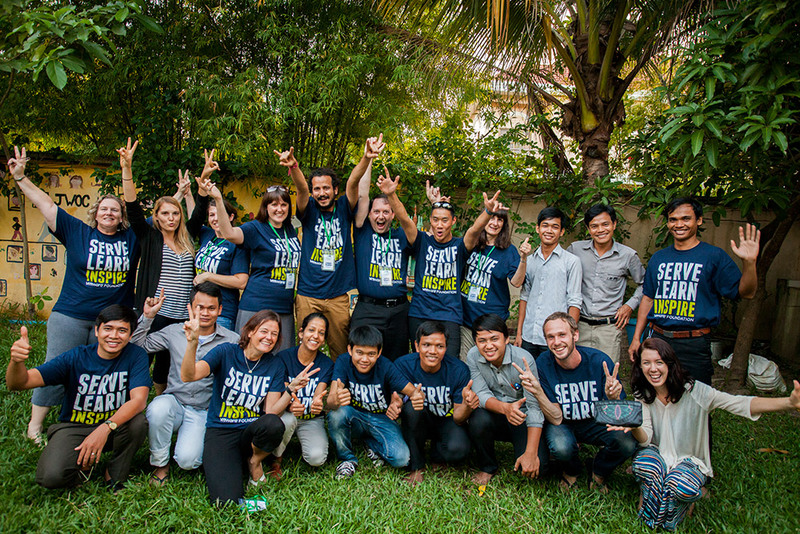 I will never forget my time here in Cambodia and building great memories with such a talented group of individuals from VMware. I could not have asked for a better team to go on this journey with. I am also very grateful for the opportunity the VMware Foundation has provided us all with, the opportunity to help serve others. 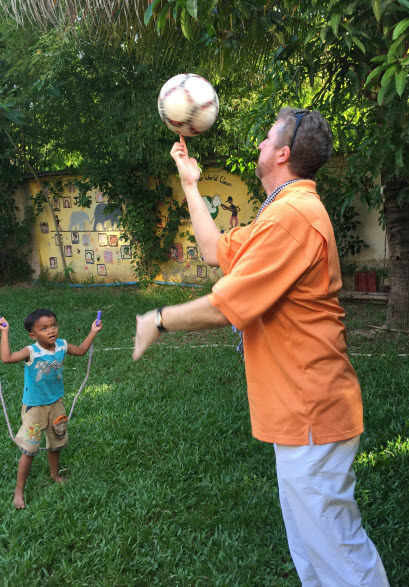 When I think back on our time in Cambodia, it will not be the memories of working in the lab, installing software or troubleshooting network problems but it will be all the special moments our team had with the children of JWOC and their smiles. William, such wonderful stories and photos. 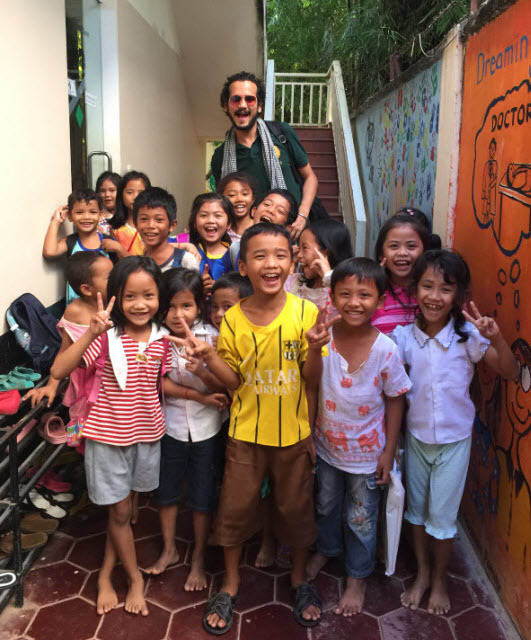 It is such a pleasure for me to read what captured your attention in Siem Reap. Thank you again! 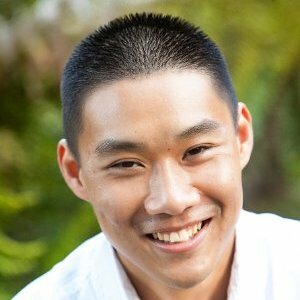 Love your blog, William! You did such a fantastic job capturing our journey. Thank you for your dedication and talent! Thank you very much for your informative blogs. We appreciated learning how you helped JWOC. 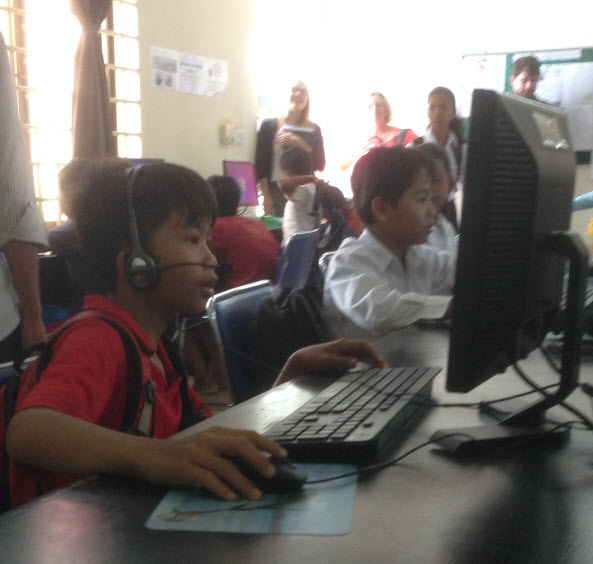 We are long time donors to JWOC and donated most of the computers you removed. We are very grateful to you for modernizing the lab. William you are the ROCK!